If you know and understand that writing press releases are great for your business and just need someone in Fort Worth, Texas to write a press release it for you, then go straight to the contact form, fill it out or call and let’s get the ball rolling. 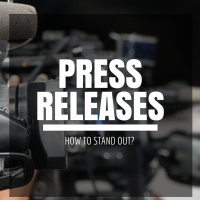 If you are simply exploring the benefits of press releases, then read on. Savvy professional marketers have always known the impact of press releases and have been using them to the advantage of their employers and clients. 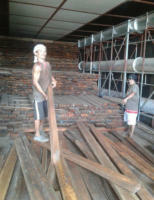 We have been using them in our business for over 20 years now. Before the internet was available as a commercial medium, we would focus on the general news media as well as trade publications. Once we figured it out, we started using it so effectively that we were getting more press coverage than competitors who were 20 times larger than us. That meant we were getting promotional exposure worth tens of thousands of dollars – for FREE. Press Releases have been good for our business and they can be good for your business too. Don’t you wish you could get the coverage that big business gets? Whether you live in Fort Worth, Texas or elsewhere in the world, you can benefit from sending out press releases. When the internet got commercialized, we adapted our press releases accordingly. We used to have one press release format, now we have two press release formats. We were getting traffic from the print media then. 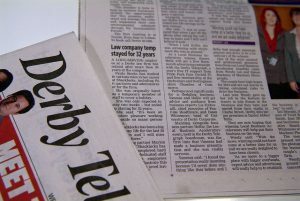 Now we target both print, online media, search engines and yes we target the user directly – all through press releases. That does not mean we only use press releases – no – that means press releases are an integral part of our marketing campaigns. After the economic meltdown of 2008, a lot of people became unemployed. Many could not find jobs so they became self employed and naturally took to the internet as a means of soliciting business. The majority of these hardworking self employed people are not professional marketers and end up gravitating towards whatever the latest buzz is. They spend a lot of money buying expensive courses and that is all fine and dandy but they end up missing on some great fundamental tools that have worked in the past and continue to work today in the world of the internet and new media. Just setting up a website does you no good. You have to drive traffic to it. Traffic does not just show up by itself. You have to drive it to your website. How do you do it? There are a whole range of things you can do but one of the best methods is to send out a press release. Many people think sending out press releases must be a complex job costing them $1,000s of dollars. That cannot be farther from the truth. It does not cost anything. A conventional press release reaches the end user / reader via the editor who acts as a gatekeeper and filters which press releases are worthy of publishing and which are not. If you use the right press release format, write the way they want it, you have a very good chance of getting published as a news story. A press release getting published as a news story has far more weight than an advertisement. That is why some Ads try to mimic a news story and mention in small print ‘paid advertisement’. It’s worth it and they know it. A reasonably internet savvy person creates his own news streams by subscribing to various feeds and getting them on his news reader. He can also set alerts that notify him when news are available in his area of interest. He decides what to read and when to read and does not want any editor to decide that for him. Your job is to present him information via feeds and reach him directly. Search Engines have opened up a whole new world. What is the search engine trying to do? It is trying to please the user so he will keep coming back to it whenever he has something on his mind. The more often the user visits, the more Ads the search engine can serve him and the more money it makes. Don’t you feel like you are being used no matter what the technology. Yep. That’s how it is. However; this time you are on the other side. You are inviting the search engine to use you so you can use it to reach the end user. Ironic? Maybe. The search engine is trying to crawl fresh content so it can please it’s user. You feed it fresh content via Press Release sites. Why not feed it directly? You do – by letting the search engine index our pages – but the search engine views a Press Release Distribution site as a more likely source for fresh content and crawls it several times a day. Besides, Google gives a Press Release Distribution site more weightage or a higher page rank. That means a page originating from a PR site will carry greater weight. Quite often you will see your press release via a PR site show up high on searches with your own page nowhere in site. A link or URL originating from a PR site carries greater weight. If your press release got published in 20 PR sites, those are 20 high ranking links pointing to your website. That is invaluable as the more links from high ranking sites pointing to your site raises the page rank of your site. When your site’s page rank goes up, you start showing up higher on relevant searches. Press Releases that show up in Google Alerts and RSS feeds directly on the readers desktop. Press Releases that get printed as news stories in conventional newspapers, journals and trade publications. Press Releases that show up in searches. Your own site showing up higher in searches. Fill out the contact form , or call and let’s get the ball rolling. Filipino Lance Busa was handpicked by Michael Bolton as the winner of the premiere season of Bolt of Talent on Star World which concluded Wednesday. The singer from Butuan City in Mindanao won a record deal and will perform in Michael Bolton’s Asia Dream Tour as part of his prize. Lance will also be heralded as a Subaru Ambassador. After being announced the winner in the finale show, Busa said, “I think everything is a dream because everything started with my dream. That was my dream. I hope I made the Philippines proud and I hope I made my grandpa proud…” The 22-year-old Busa competed as the Philippines’ representative to the newest Fox Network singing competition hosted by multiple-Grammy recipient and singer-songwriter Bolton, after being scouted by the iconic artist himself in the show’s first telecast that featured the Philippines. The amateur singer went up against artists from Thailand, Malaysia and Taiwan. In the finale of Bolt of Talent, the Philippines’ bet sang a cover of Bolton’s iconic hit, “How Am I Supposed To Live Without You.” The post Lance Busa wins Michael Bolton Talent competition appeared first on Good News Pilipinas. Need help with Shopify ecommerce platform? Whether you are located in the St. Louis, Missouri, USA or elsewhere in the country or for that matter anywhere in the world, we can help you with Shopify ecommerce. Our designers and developers are experienced in Shopify and can help you with Shopify in particular and ecommerce in general. Need help with Shopify ecommerce platform? Whether you are located in the Colorado Springs, Colorado, USA or elsewhere in the country or for that matter anywhere in the world, we can help you with Shopify ecommerce. Our designers and developers are experienced in Shopify and can help you with Shopify in particular and ecommerce in general.